There was unrest in the early hours of Sunday in the Oyingbo area of Lagos State as hoodlums engaged in a free-for-all. They also vandalised vehicles and robbed traders. 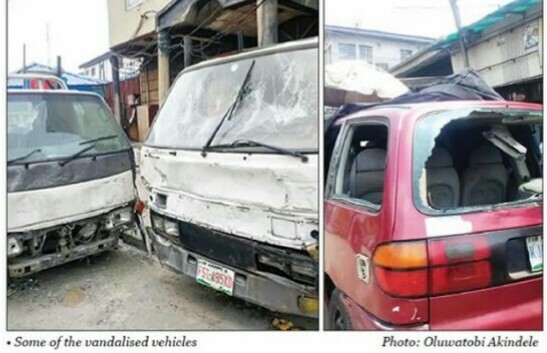 It was gathered that some of the vehicles vandalised by the hoodlums included interstate buses used in transporting farm produce to the Oyingbo Market. However, when The Punch visited the area on Monday, seven of the badly damaged vehicles were still parked on the streets, while the others were said to have been evacuated by the owners.